Rob Klein is a financial services industry veteran. After the collapse of Lehman Brothers and the ensuing financial panic in 2008, he worked on developing a more meaningful and value added service he could provide his clients and future clients. Instead of the decades old conversations about dollar cost averaging, asset allocation, time in the market, etc., he and his colleagues focused on explaining the one mandatory cost in retirement - health. What they discovered was the following reality. Never mind clients, most financial advisors do not understand there is mandatory cost of healthcare in retirement - Medicare. The financial planning the advisors help their clients implement may be used against their clients. The wrong type of retirement income may lead to higher insurance premiums, higher taxes and reduced Social Security benefits. In some situations, the entire Social Security retirement benefit may be consumed by health costs. Another risk in retirement is long term care planning. The average advisor believes the only solutions is traditional long-term care insurance. Long-term care planning is far more comprehensive than that. A comprehensive plan should include some of the following where one will live, who will take care of them, etc. Advisors who care about this risk for their clients and their clients' families, need to work with a specialist and partner who understands the aging and health needs of their clients, not someone who just wants to sell insurance. It is his belief that healthcare is a major component of retirement planning. It must also include long-term care planning, which for many will be the modern day estate planning. If a financial advisor cannot explain to a client what happens when the client gets sick, it's time for the client to find one who can. Additionally, Rob is a Long-Term Care Planning Specialist for INERTIA / Advisor Services Group. He works with advisors and their clients to ensure Long-Term Care planning and Healthcare in Retirement are addressed as part of comprehensive planning. The topics and concepts discussed are general information based on public information from Social Security, Medicare and the IRS regarding health premiums, non-security linked insurance and annuity contracts, and income taxes. Never the less, you should still seek advice of legal, tax, or financial advisors to help you with specific issues pertaining to your situation. The views, comments and positions taken are not an offer, solicitation or endorsement of any financial product or investment. Living longer also means having to take into account future healthcare costs that can go with it. Whether or not you should enroll in Medicare while working depends on your particular situation. There has been much discussion about who is benefiting most from the new tax bill, but no one is discussing its effect on your retirement income. If you are offered employer retiree medical benefits, take them and focus on long-term care. Talking about long-term care is never fun, but it's best to do it before it becomes a necessity. Can I convert my 401k into a Roth IRA account after I've retired? Yes. But you want to pay attention to your age and modified adjusted gross income. While a Roth IRA may be wonderful for a variety of planning reasons, converting to one is not only a taxable even but it may also increase your health costs. 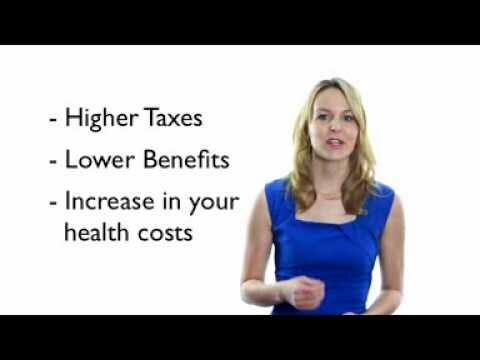 Medicare premiums are based on your modified adjusted gross income. Remember, the greater your Medicare premiums are the greater the chances are you will get less net Social Security income. How do I set up an 401(h) account for an S corporation? This is a great question. I am surprised it has not been answered, but then again I shouldn't be. Most advisors do not know what a 401(h) plan is. I have a contact for someone who handles these. But, as practice, I do not recommend firms in an open forum like this. If you want to speak privately, let me know. Is it better to wait to withdraw from your Social Security benefits and your 401(k)/457(k) account? The answer to this will depend on your modified adjusted gross income in retirment (MAGI) and your filing status (e.g. single or married filing jointly). Social Security benefits and retirment plan distributions (except if they are from Roth accounts) are part of the MAGI. Depending on one's MAGI (or anticipated one in the future), you can make an educated decision on whether to wait or not with respect to withdrawals. I have a program that can help calculate that for you. In some cases it may be prudent to start withdrawals at 59 1/2, even if you don't need the funds now. What also comes into play here are retirement health costs and long-term care planning.